Once again I'm featuring a Japanese game designer for today's "Where are they now?" article even though I never heard of him before prior today. Unfortunately, when referring to Takeshi Miyaji, I will be referring to him as the late Takeshi Miyaji as he passed away on 29 July 2011 at the age of 45. Takeshi, like Fukio Mitsuji (another Japanese game designer to have featured in this series), died way before his time. While he wasn't as prolific as some of the other game designers to feature in this series, he released some classics, even if they weren't PC classics. But if he hardly ever worked on PC games, how did I end up hearing about him? Well let's start at the beginning. Takeshi Miyaji began his programming career at a Japanese corporation called ASCII at the age of 15 (not to be confused with the American standard). When he was only 19 he decided to co-found a games development studio called Game Arts with his brother Yoichi in 1985. He was in charge of Game Arts's development department and remained in that role until he left the company in 2000. Takeshi worked on some critically acclaimed games while at Game Arts. One series he spawned was called Grandia in 1997, an RPG series that was compared to the Final Fantasy series in a positive light. This, I suspect, is no mean feat, since even though I don't know much about JRPGs I do know that Final Fantasy is one of the big names in the genre. He would also go on to produce the sequel, Grandia II which was released in 2000. The sole Game Arts game that I played though was one of Game Arts's earliest; a shoot 'em up called Silpheed which came out back in 1986. The game's graphics were quite revolutionary for its time since it employed 3D polygons for all its graphics and a scrolling perspective view - different to the top-down view or side scrolling views of most shoot 'em ups. Takeshi worked as the director and designer of this game and would go on to develop the critically acclaimed Sega CD version of the game in 1993 as well as being a producer and programmer on the 2000 sequel to the Sega CD version called Silpheed: The Lost Planet. In 2000, Takeshi left Game Arts and founded a company called G-Mode to develop games for the emerging mobile market. G-Mode was the world's first mobile network game content provider specialising in games developed in Java. The company was very successful and it still exists to this day. However, 11 years after the founding of his new company, Takeshi passed away due to complications during brain tumour surgery. 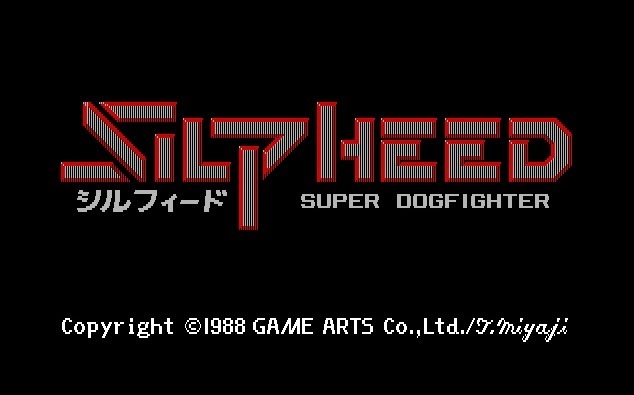 While he didn't produce many games, or even PC games for that matter, his game Silpheed left its mark on my childhood as being a very difficult game yet one with exceptional graphics for its day along with an awesome theme song - a theme song that still haunts me to this day - a theme song I will link below in honour of Takeshi's memory. Thank you for the games Miyaji-san. Game Arts Sierra Silpheed Takeshi Miyaji Where are they now?